Rocco had at least 3 homes before he arrived with us at PADS, Rocco was re-homed by us in March but sadly returned because he and the other dog in the house started fighting. His adopted family tell us he was a lovely house guest, good with people and children. He did chase the cats initially but the cats knew to keep out of the way and things soon settled down. We would prefer children in his new home to be of school age. Rocco is a high energy young Husky who is desperate to run but can never be let off lead, an ideal candidate for Cani-x! Rocco will need his own private garden (not shared) to romp around in safely off lead – the fences should be 6ft tall all round. 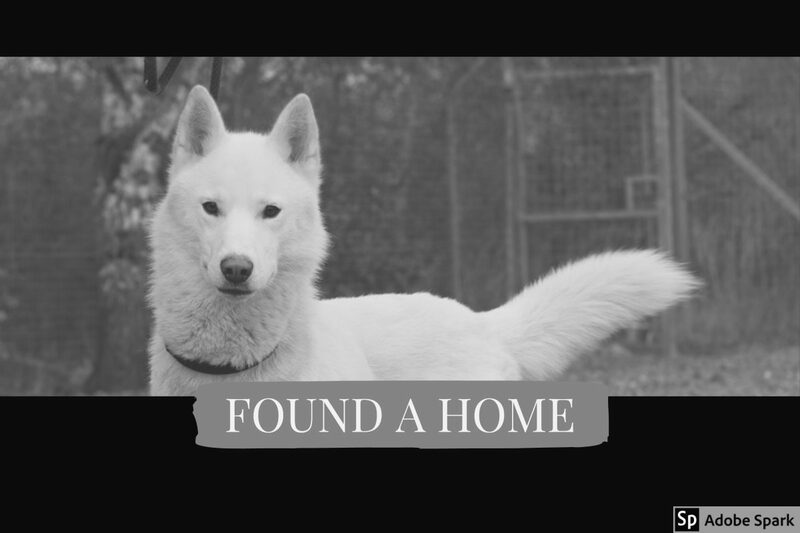 Like a lot of Huskies, Rocco doesn’t like to be left for long periods of time and does cry when left – so his new home will need understanding, deaf or no neighbours! Rocco is not suited to apartment living. I am not a Poodle; Don’t you dare tie a ribbon around my head!! should just call it quits right here and now! blindly enter into this partnership, I can make you wish we’d never met. I come from a proud family of working dogs. This entry was posted in Found a Home and tagged Adoptdontshop, cani-x, Husky, Rescue Dog.